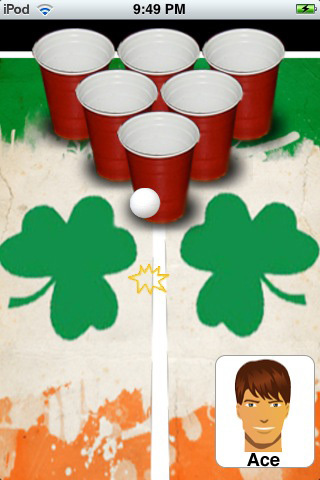 Beer Pong PRO brings the classic game of beer pong (also known as beirut) to your iPhone and iPod Touch! We know half the fun comes from playing with your buddies and other people, so challenge unlimited friends online or search for nearby players to face! All it takes is a valid email address. 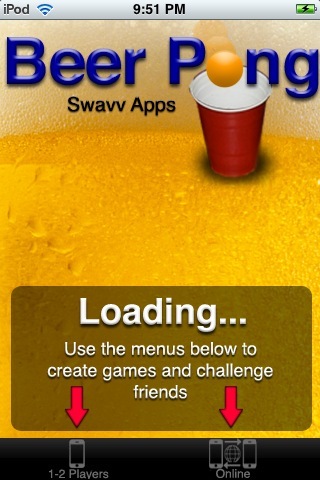 If you’re not quite ready to dominate the virtual beer pong world, hone your skills by playing against the ‘bot or a friend on the same phone. We manage all your stats for you, so prove once and for all that you are truly the “King of Pong”! NEW: Version 1.1 now available! See below for new features in this update. 2. 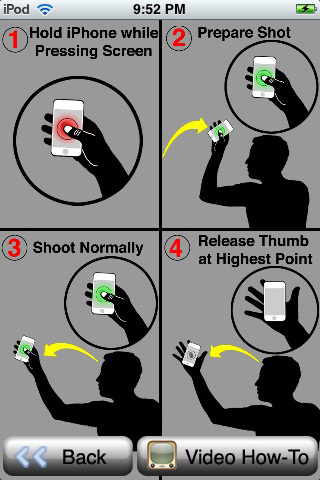 The screen will flash red and ask you to prepare your shot (keep your thumb on the screen). For righties, hold the phone in your right hand with the screen facing to the left. Bring the phone back to about where your right ear is. For lefties, reverse the directions in this step. 3. The screen will flash green and ask you to shoot. Make your natural shot motion, releasing your thumb from the screen when you would release the ball. 4. Remember not to throw your phone! * Play online! 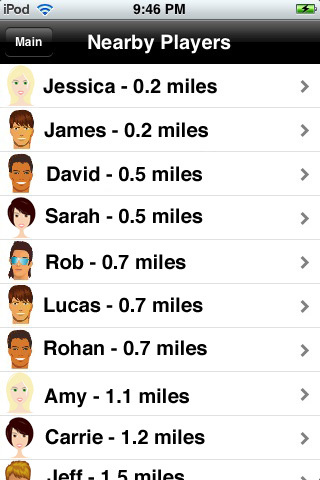 Challenge a friend from across the world, or use “Find Nearby Players” to challenge people in your area. 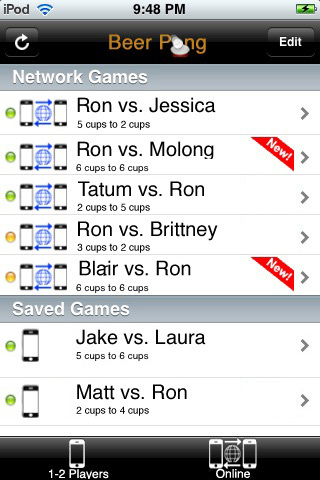 * Detailed stats tracking allows you to see your personal and opponent’s records – see how to match up in the virtual pong world! * All 1v1 beerpong and beirut rules apply: “on fire” status, rebuttals, and overtimes. *Spin PRO (with cheating) is sure to sway luck in your direction. *iMistletoe PRO (free) let's you bring holiday cheer and kisses wherever you go! We’re always open to comments and suggestions so feel free to drop us a line at any time!